Laura is an Energy Healing Therapist, holds two Masters degrees – one in Marriage and Family Therapy and the second in Theatre Arts, and is an author of four books, including Taming the Restless Mind and The Best Kept Meditation Secret on the Planet, The Exceptional Therapist: The Energy System of Healing, Laura’s New Heart: A Holistic Healer’s Spiritual Journey Through a Transplant. So let’s just say, she’s pretty well versed in this relationship stuff! She and her team of soulful teachers and practitioners have created a beautifully safe “vessel for self-transformation” at Lionheart Institute that enables students to grow personally, spiritually and professionally. Their workshops, intensive retreats and certification programs can be taken purely for one’s own self-healing or to begin a walk down a path of healing others. And, well, I have now indulged not just on a cerebral plane through her articles, but now spiritually and kinesthetically through Lionheart’s four day “Awakening” intensive retreat. And wow, was it an indulgently magical experience! I still feel a warm light glowing within me, and tensions I’ve held onto for years falling away. What’s so wonderful and unique about the Institute’s teaching is that they fuse subtle body (or energy) work with a psychology base. There is in essence an art and a science fused together here, so there is reason and knowledge supporting what they teach and do. The training taps into the cerebral and intuitive. Through holding space, skilled and thoughtful questioning, and incredible energetic bodywork I (along with my fabulous cohort totaling 14) experienced the beauty of reciprocated healing throughout every moment of each super packed day. And, magic was born. There were moments of gentle realization to cathartic releases, as we learned to tap into ourselves deeply, harness our chi, open up and activate our chakras and enable the same in others. Sweet and powerful meditations commenced new phases of our learning throughout the long weekend along with beautiful poetry that compelled us to feel, to think, to sense, to connect. 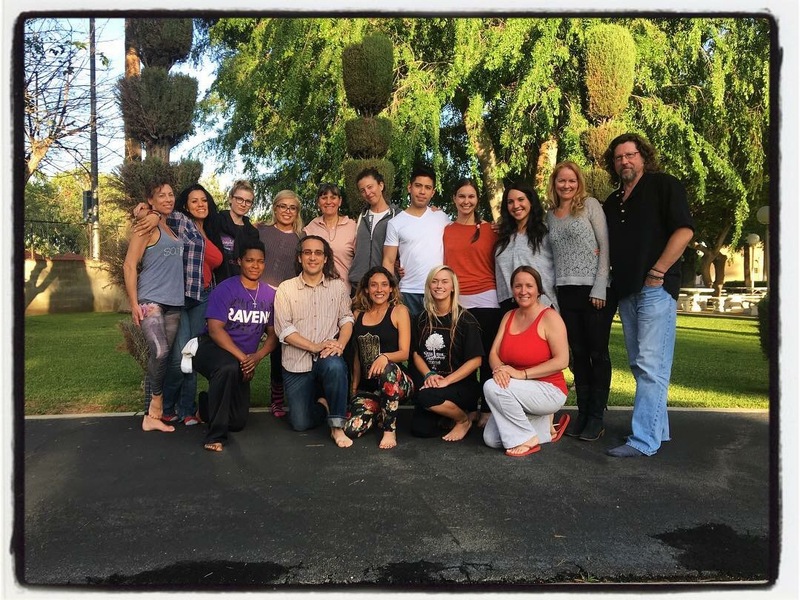 The faculty of the Level 1 “Awakening” intensive retreat including Deborah Allen, Jonathan Bessone, Isabella Errico-Dossi, Julie Migneault and Rita Burgos was loving, supportive, skilled, knowledgeable, experience and professional. They created an incredibly safe space for our eclectic group to bond, take risks, learn, and feel deeply. I seriously fell in love with everyone. There was an intimacy created within in our selves and within the group that was profound, beautiful and freeing. Somehow looking into the clear open eyes of my cohort became the place I, and so many of us, found comfort in times of trepidation and simply within the joy of connection. As I left each day, my perspective shifted towards the light of the positive, opening in a state of awareness and awe. The drive from the Westside beaches to San Fernando became swifter in my mind’s eye, as if I were just rolling up and down the hill. Its nuts how perspective truly shifts “known” reality. I could feel places in my body sink into and open up into ease, even my lock jawed TMJ let go a gang of its grip. Seriously, even my face looks softer. But, more importantly, I feel so much clearer and better and happier. I leave you with a poetic description of one of my meditation experiences and a schedule of upcoming workshops and programs. Sign up to awake, transform, discover, heal, feel, reflect, find your inner power and your inner calm, and maybe so much more! Sign up for Lionheart’s upcoming introductory Essential Keys to Energy Healing on April 9th or May 7th from 10am-12:30 and Doorway to Transformation on May 1st or July 17th from 9am-6pm. And, then take the next steps with LEVEL ONE AND LEVEL TWO levels of professional certification, and ONLINE courses and ELECTIVES for advanced training. Lionheart Institute of Transpersonal Healing is a specialty school approved by the state of California to offer professional certification and continuing education training for licensed professionals in the fields of psychotherapy, social work, nursing, massage therapy and acupuncture.